Miniature theme park Madurodam is situated in The Hague, less than one hour from Amsterdam and nearby the tulip field region. The interactive miniature park is the ultimate place to discover what makes Holland so unique within a short period of time. Madurodam presents you all the relevant Dutch stories behind the miniature buildings through multimedia and numerous interactive installations. 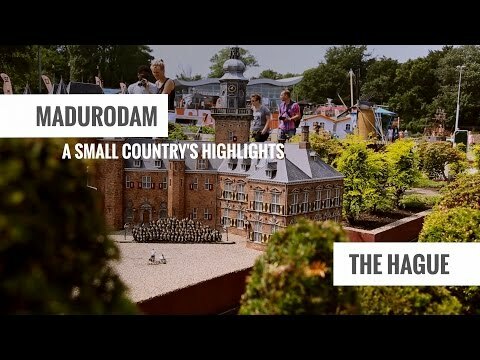 Canal houses, tulip fields, cheese market, a wooden shoes factory, windmills, the Peace Palace, the Delta Works: you will find them all in Madurodam! Madurodam offers you the stories on interactive touch screens which are activated with your personal scan card. All stories about Holland are available in Dutch, English, German, French, Spanish, Russian and Chinese. Get ready to make a splash at Madurodam! In the new indoor attraction, the Waterwolf, you will be able to experience first-hand, how the Dutch created land from an uninhabitable stretch of water. 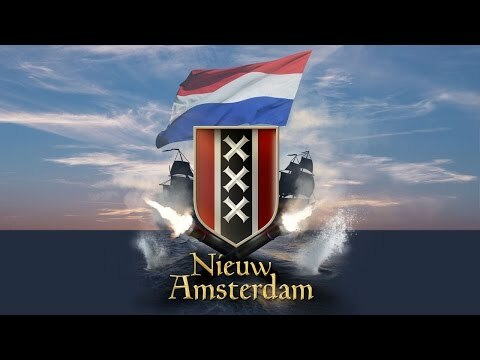 A scintillating and interactive show about the Netherlands most impressive victory over water: the drainage of the Netherlands’ largest inland lake in the 19th century. Stroll through the flower-filled park and experience the highlights of the 17th century in the Netherlands via our indoor attractions and renowned miniatures. Visitors will discover why the Golden Age is considered the heyday of the Netherlands, and the marks it has still left on the country today. The special route is one of the many activities forming part of the Dutch themed year: Rembrandt & the Golden Age. The Waterwolf tells the story of Dutch determination, of 400 years of reclaiming land and how mills have kept our country dry right up to the present day. Because in the Netherlands we find living below sea level the most natural thing in the world! In ‘Cruquius’ Madurodam’s life-size pumping station, you can go back to a time when our land still had so many inland lakes and rivers it resembled a Swiss cheese. From the 16th century onwards, the Dutch drained these lakes one by one using windmills, but for centuries one inland lake seemed impossible to conquer. Yet, by building the world’s largest steam engine, the Dutch even managed to drain the destructive Haarlem Lake (also known as the Waterwolf), leaving a stretch of land of over 185 km2. An area that, since its drainage, has grown into one of the Netherlands most important economic regions. At Madurodam you too, will be able to create land from water. In the pumping station, you can work together to set the world’s greatest steam engine in motion and alongside your family and friends you will experience first-hand how the Dutch turned an impossible stretch of water into land. The steam engine slowly starts to work, the sails begin to turn, the boilers ignite, steam escapes and the Madurodam pumping station shakes on its foundations... Will you manage to tame the Waterwolf? Come along and help to drain the immense Haarlem Lake. The Court of the Netherlands ('Hof van Nederland') takes you back to an exciting moment in Dutch history: that of the rebellion against Alva and the First Free State Assembly in 1572. This is what laid the foundations for the Netherlands as we know it today: the Netherlands in which we can live in freedom. The experience is different from what most people are used to at Madurodam. It's not a miniature structure - it's a multi-sensory experience which takes approximately four minutes. New Amsterdam is an interactive family attraction that tells the story of New York’s Dutch roots. In this enthralling attraction, you will travel back in time to experience the excitement of the 17th Century. You will step aboard the ship ‘De Vergulde Bever’ and travel from Amsterdam to New Amsterdam, the city currently known as New York. The day starts off happily but very quickly danger threatens. Will it end well? In New Amsterdam’s town square you, your family and friends will roll up your sleeves and set to work firing the cannons. So you will experience the choice Peter Stuyvesant had to make to retain control of the city, as he faced the English. You will also discover what traces of the Dutch are still visible in New York today. What do you think the dollar, cookies and the world-renowned Brooklyn are named after? The new touristic season at Madurodam usually starts together with the new flower season in Holland, but the theme park is actually open all year round. Check the actual opening hours below. Madurodam is located in The Hague between the city centre and Scheveningen, directly adjacent to the exit roads to the A12 and A44 motorways. Madurodam has 450 parking spaces and a tram and bus stop on its doorstep! There are several fine hotels in the vicinity. Madurodam is open on Christmas Day (11:00 - 17:00), Boxing Day (11:00 - 20:00), New Year's Eve (11:00 - 17:00) and New Year's Day (11:00 - 17:00).